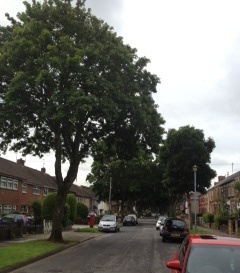 We recently met with Council Officers after speaking with residents who contacted us about trees within our ward. The Council will shortly be commencing its 2012/2013 cyclical tree maintenance programme for the Northern area of the City. Works in the Llandaff North will consist mainly of crownlifting trees over carriageways and footpaths, removal of epicormic growth (suckers) and the pruning of trees back from buildings and street lights. Dead and dying trees will be removed and these stumps and other stumps from previous fellings are scheduled to be ground out and the sites replanted with new trees, budget permitting. The bulk of the planting should be completed by the end of January 2013. Please contact us if you have any queries / comments about Llandaff North. We will always address your concerns with the relevant council officers.